The highly anticipated 2018 Epcot International Food & Wine Festival kicks off next month, and we love all the details that are slowly being revealed. 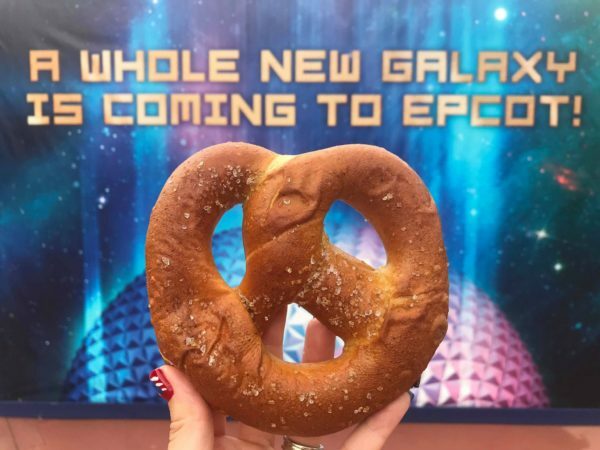 Disney has revealed a a peek at some of the Food & Wine Festival Merchandise that will be available at this year’s festival. Remy even returns for another round of Hide & Squeak. You’ll be able to commemorate your visit with limited-edition special event merchandise. From apparel, home décor, trading pins, collectibles, and more, there is plenty to bring the culinary magic of the festival home. Everyone’s favorite chef, Remy from Ratatouille returns, and will be found on aprons, kitchenware, ornaments and more. Figment is also returning this year, as he shares his culinary love on apparel and drinkware. Tabletop, kitchen and wine products will be available to recreate a tasting-around –the-world experience with the Taste Your Way Around the World collection. Chef Mickey will also help you continue the fun with the Farmer’s Market Finds. The Brews Around the World collection will also feature apparel, barware and accessories for the craft beer lover! Remy will leap out of the film for his annual Hide & Squeak again this year too! Children of all ages can search for Remy on a savory scavenger hunt around the Festival. You can check out our adventure around the World Showcase with Remy last year here. The Epcot International Food & Wine Festival Merchandise definetly sounds like an enticing treat once again!